Outdoor furniture has many shapes and comes in various designs. There are daybeds, furniture sets, and benches. But swimming pool furniture has its own specifics. While chaise longues are widely available they are hardly surprising addition to the pool. If you want to add an interesting touch to your swimming pool area opt for more creative pieces. 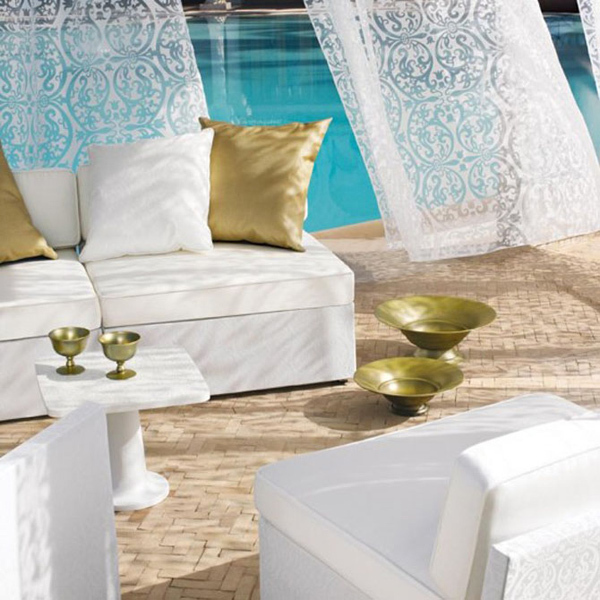 Various daybeds in different shapes and designs are available from brands and manufacturers of outdoor furniture. They come with canopies and various other sun awnings providing you with the secured and stylish space for lounging and sunbathing. Floating beds are an interesting touch on inflatable matresses. These are romantic canopied wonders that look great and most probably feel great too. They are not only eye-catchy but also must be very relaxing. Hanging chairs that come with self-hanging hooks are chic and stylish. They provide a place to seat, a protection from sun, and a great appearance.